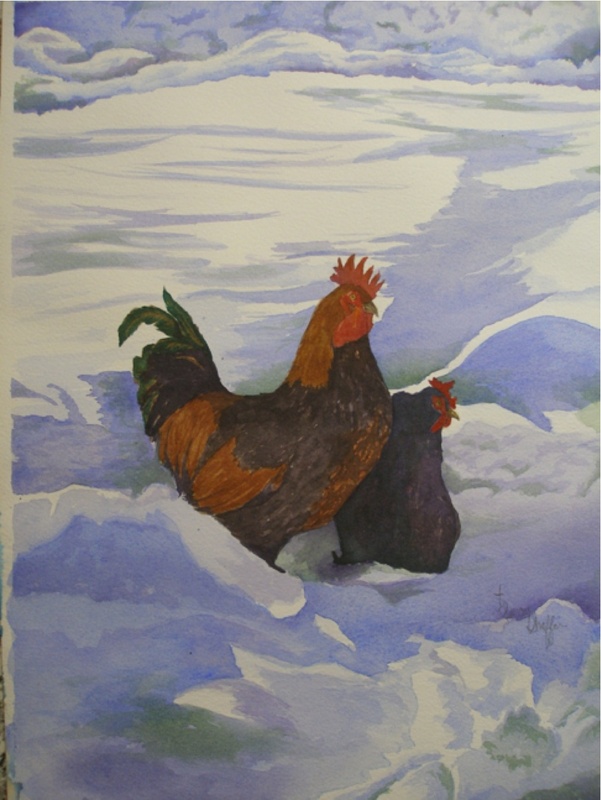 The chickens really hate the cold weather and hate it even more when it snows. I caught this scene when I saw the bright and dramatic contrast of their bodies, huddled together in the shadowed snow drifts. Chickens are very social and I love watching them.